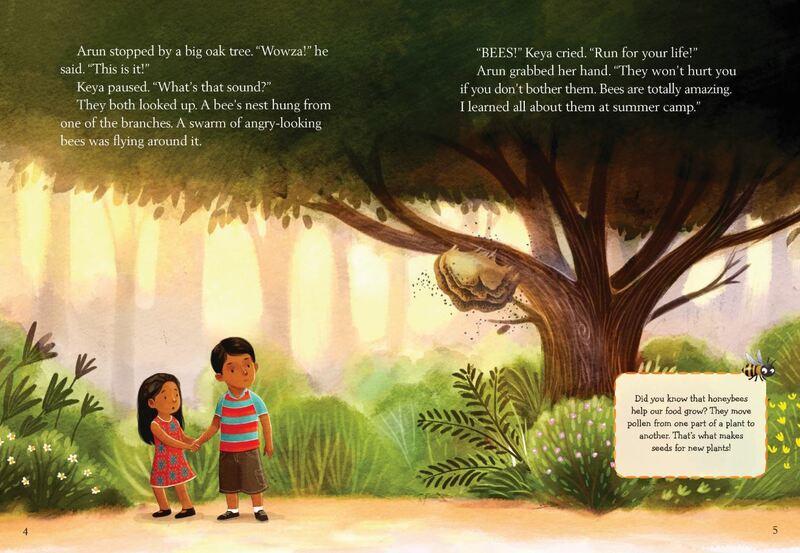 Arun and Keya find the perfect tree for a tree house. Too bad it comes with a battered bees’ nest! These bees need a new homeright away! Tying into the popular Makers Movement, Makers Make It Work is a series of fun easy-to-read stories that focus on problem-solving and hands-on action. 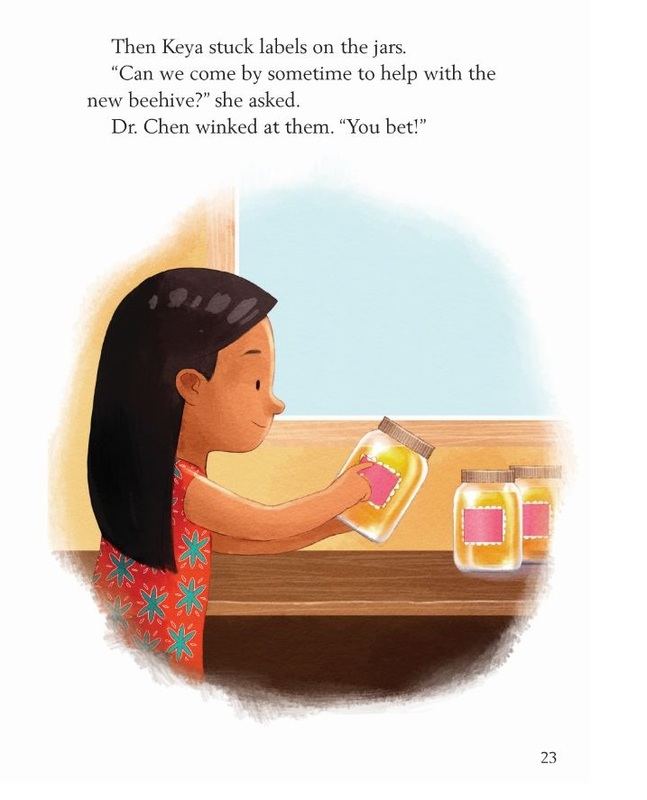 This charming story explores the Makers theme of Beekeeping and includes explanatory sidebars and an insect-related activity for young makers to try themselves! Once upon a time, I studied Pure and Applied Science. While I had an aptitude for science, I soon came to the realization that I didn’t want career in it. I felt like I was an artist inside, trying to find the right channels in which to express that bustling creativity. As I was re-assessing what career path to take, I remembered a passion of mine: writing. Since I was 6 years old, I was obsessed with both reading and writing. I was particularly fond of poetry. So I decided to leave the world of science behind and study what I loved: English literature. People asked, what will you do with that degree? What kind of job will you get? But I chose not to listen, and followed my heart instead. After many years of study, research and practice, I finally saw my destiny: writing for children. I was writing mostly fiction early on, and had published a few books. Then I discovered the educational market and decided to give it a try. I landed a few contracts and then had a magical realization: that all the knowledge I had gathered during the years I studied science was coming into use. Not only that, I realized, with much surprise, that I *loved* writing about STEM topics and breaking them down in ways that children can easily grasp. A few years later, I corresponded with Juliana Lauletta who was an editor at Kane Press (and is now the publisher), and she invited me to write a few books for the Science Solves it! series. This resulted in two educational picture books, A Real Live Pet! and The Space Rock Mystery. I became passionate about writing nonfiction, especially creative nonfiction. From there, I met Jennifer Arena, an editor at Kane Press, and she invited me to write a book for the Makers Make it Work series. I chose the topic of beekeeping and ended up falling in love with these furry little creatures after writing the book The Broken Bee’s Nest. Thanks to this chain of events, I now understand that no knowledge is lost, and you never know when it will trickle out and express itself in new ways. Inspiration for books is all around us, and also inside us, based on our experiences. I’m grateful to be able to fuse together the worlds of art and science, which are, as I’ve discovered, not quite as different and mutually exclusive as I had once believed. 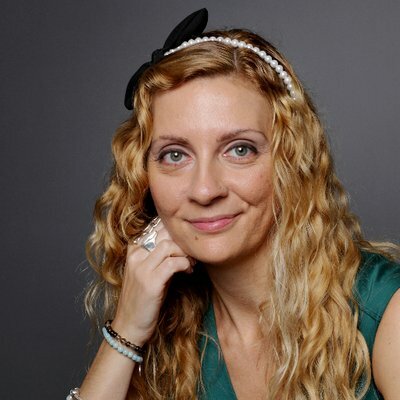 Lydia Lukidis is an author, creator and conceptual artist. Her passion for reading and writing began at a very young age when she composed poem after poem in her journals. She later acquired her Bachelor degree in English Literature from McGill University and her love for the written word continued to grow. Lydia fuses her creativity and skills to educate, inspire and entertain children. Her mandate as an artist is to provoke thought and feeling while having a positive impact on children. She has published over 40 children’s books including picture books, educational books and eBooks. She has experience with both fiction and non-fiction. In addition to her creative work, she also composes lesson plans, activities and curriculum based texts for children. Lydia’s background is multi-disciplinary and spans the fields of literature, theater and puppetry. She has co-written and co-produced five plays for Panadream Theater, a company she co-founded in 2007. These plays for young audiences were told through the eyes of string marionettes. Her award winning play Yorgo & the World was selected to be part of the prestigious 2012 World Puppetry Festival in China. Her plays were presented at many international festivals and she collaborated with companies like Cirque du Soleil for several special events. Lydia also does school visits and gives writing workshops for children aged 5-12. Her aim is to help children cultivate their imagination, sharpen their writing skills and develop self-confidence while improving their literacy. She is currently part of the Culture in the Schools Program organized by the Ministre de Culture et Communications Québec. These workshops are subsidized by the Quebec Government. In addition to her work with children, Lydia writes articles and blogs for magazines and websites that target adults. She also does conceptual work for creative companies such as Moment Factory, where her latest project was to collaborate on a family show for Royal Caribbean International. What an inspiring story! I’m glad you followed your dreams and even more pleased that your science background added to your writing. My mother was a huge proponent of education for the sake of learning. You never know when you’ll be able to use it. I love bees! This year I want to be ready to capture a swarm…We shall see. Great book! Congratulations! I should say help rehome or relocate a swarm! So happy to see Lydia’s book featured and hear this story! I love bees and can’t wait to check this out. Wishing you all the best and continued success! Thanks for the kind words, Lynne Marie. You are actually someone who inspires me!! What amazing accomplishments you have so far. You must have tons of story ideas with your science background. And even better that you’re able to break down that knowledge for children to understand. Congratulations on your successes. Thank you for sharing your journey and inspiration to publishing. Look forward to reading your book. Thanks, it’s so nice to connect with others “virtually”! 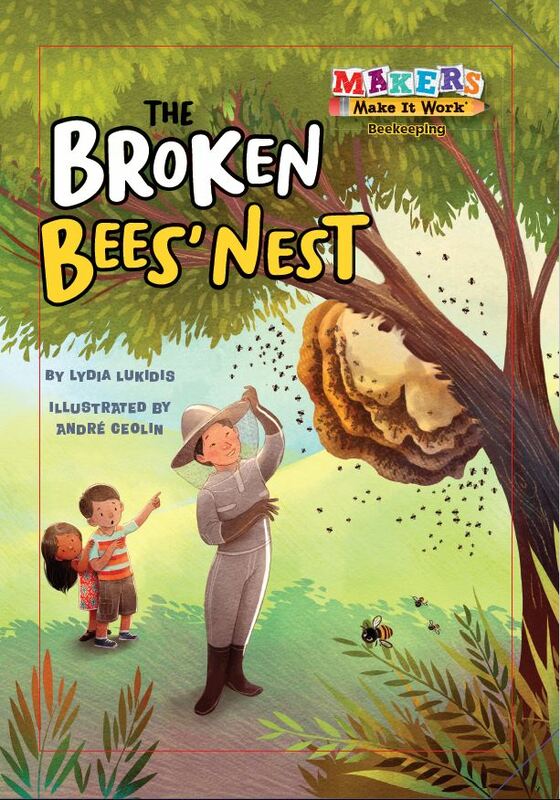 THE BROKEN BEES’ NEST looks like a delightful book by Lydia Lukidis. I look forward to reading it. Thank you for sharing your writerly journey, Lydia. Great interview! 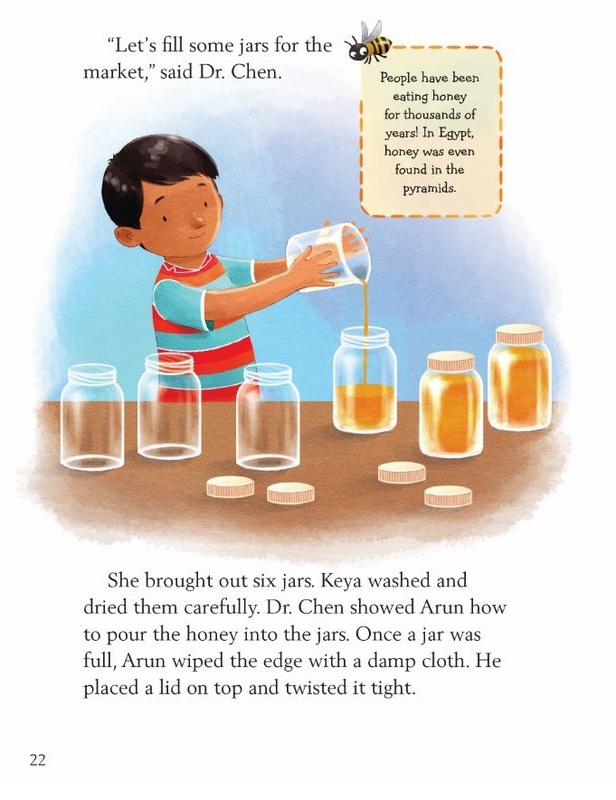 That’s so neat you are using your science background to write nonfiction books for kids. Congrats! I love books which combine fiction and non-fiction in creative ways; this one looks wonderful.